While photographing near Haines, Alaska in the fall of 2012, Jenaya and her dad discovered three orphaned Grizzly Bear cubs. Every day the cubs would show up as the tide went out and would begin combing the beach for morsels of food. Jenaya has a soft spot in her heart for cubs, and this young bear only made it softer. 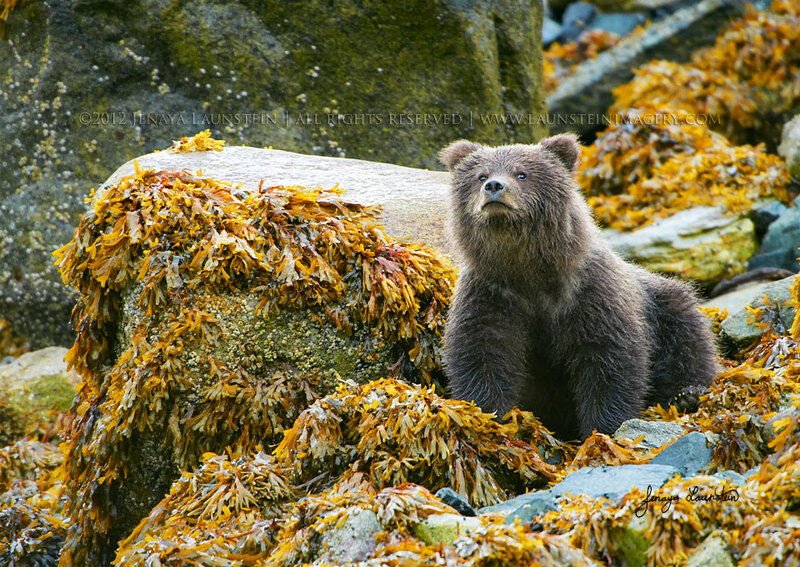 It posed for her in trees and on the seaweed-covered rocks, brought food to its smaller siblings, kept an eye out for danger, and occasionally would sit and ponder the sea (or so it seemed).